Some of Canada's biggest success stories show us that if you want to make it big, you've got to move south. Slack, the popular chat application for business teams, was originally founded in Victoria but is now headquartered in San Francisco, where access to capital has helped the company achieve explosive growth. So why-oh-why would anyone want to live and work in Vancouver? We live and work in one of the "least affordable" cities in the world -- at least, that's what a lot of people are calling it these days. 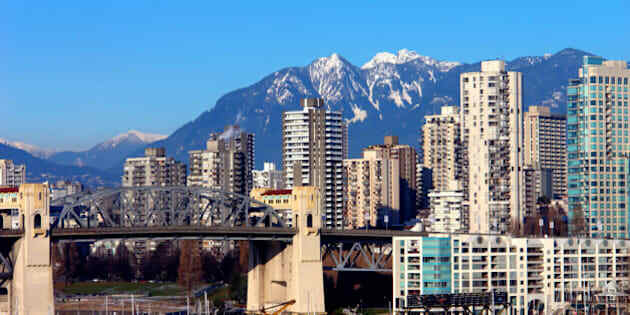 So why did we choose to build our startup in a place like Vancouver? The benchmark price for a detached home in Greater Vancouver has climbed 30.1 per cent in the past year, to $1.4-million. Meanwhile, the median family income in the Vancouver metropolitan area is $73,390 -- about $3,000 lower than the Canadian average. It's no wonder there have been reports of an exodus ­- people leaving Vancouver and moving elsewhere in the province or the country in search of affordability. But what about the people who stay? We've been asked this question so many times over the last few years. When you look at the numbers, this doesn't seem like the ideal place to launch a startup. Venture capital investment in British Columbia lags far behind Ontario and Quebec, not to mention many of the larger startup ecosystems in the United States. Investors channelled just $290 million to B.C. companies in the first nine months of this year, a drop of more than $100 million from venture investment in the same period last year, and down more $200 million from 2013. The number of deals in B.C. has also been shrinking, with the $290 million spread over 61 deals, compared to 57 in 2014 and 56 in 2013, according to the latest report by the Canadian Venture Capital and Private Equity Association. When it comes to money and mentorship, there's a definite shortage in Vancouver, to say the least. When our company raised our recent seed round, most of our investors were Americans from Chicago and New York. Some of Canada's biggest success stories show us that if you want to make it big, you've got to move south. Slack, the popular chat application for business teams, was originally founded in Victoria but is now headquartered in San Francisco, where access to capital has helped the company achieve explosive growth. So why-oh-why would anyone want to live and work in Vancouver? Over the years, opportunities have come up that have tempted us to relocate. Yet each time we've decided against it. The latest temptation was last year, when our company, Routific, was going through the global accelerator program Techstars. We met with numerous investors leading up to our Demo Day in Chicago and learned that quite a few preferred to invest in companies based in the Midwest. Some straight out told us their funds had a mandate to invest in Midwest companies only - and we understood why. Many in Chicago's investment community were working hard on building a cohesive startup hub; a place where local investors supported a flourishing portfolio of local companies and talent. We were advised by some mentors to say or do whatever we could to get funded. Fundraising, after all, was our top priority post-Demo Day. "Don't shut the door on an opportunity," they said. "Keep an open mind." Others advised we "do whatever it takes to help the company succeed." If that meant moving the team to Chicago, that was what needed to be done. One particular mentor pushed us to answer the question differently: "I know you said you'd be willing to move to Chicago," he challenged. "But what is it that you really want to do?" Staying geographically close to investors might be good from an investor's perspective, but that's not necessarily the best move for your company and your team. So we returned to Vancouver and began building our team there. There are so many reasons to love Vancouver. It's a stunning city on the edge of the Pacific Ocean, with easy access to the great outdoors: mountains, beaches and lovely forests filled with towering Douglas Firs and Western Cedars. But aside from the obvious signs of "livability" - the Economist magazine ranked Vancouver as the third most livable city in the world in 2015 -- there are many other things keeping us here. Finding good people is probably one of the biggest challenges facing a fast-growing team. Vancouver also shares the same timezone with Seattle and San Francisco, which makes quick business trips easy. This allows us to stay connected to larger ecosystems and markets while keeping our team in Vancouver. Interestingly, Vancouver's lower salaries actually make it easier for us to build a strong team (ie. grow) while maintaining a decent runway (ie. not running out of money). As an early-stage startup, we've been able to develop our technology with a smaller investment and keep more equity in our company. Of course, we do our best to give as much compensation as we can to our amazing team members, and we're lucky that we can offer them enough to live comfortably in Vancouver. By choosing to stay in Canada, we have access to research and development grants from the federal government.Startups throughout Canada can receive funding from Ottawa's Scientific Research and Experimental Development (SR&ED) tax incentive program. SR&ED refunds 35% on qualified expenditures, while the B.C. government offers an additional 10% incentive. And there are generous grants from the National Research Council that reimburse up to 80% of the salaries we pay our software engineers dedicated to innovative research and development projects. Thank you, Canada! One of our lead investors is Chris Bissonette, Managing Partner of Pallasite Ventures. Originally from Vancouver, Chris spent the last 15 years in Chicago and recently decided to come back to his hometown because he believes there's huge untapped potential in the city. "I'm very optimistic about what I see happening in Vancouver," he said. "Vancouver has the greatest quality of life of any city in North America. It's beautiful, safe, and has perfect weather. That, coupled with the really strong and supportive tech and startup community emerging here, made it a perfect place to move." Vancouver is also the cusp of benefitting from exits and liquidity of some of the more established local tech companies, Bissonette said. "Vancouver is just starting to see a population of young, experienced tech talent that understands the growing startup ecosystem and is financially able to invest in and support new companies," he said. "As an example, funds from exits of companies like Recon are already being re-invested back into the tech community (through the partners establishing Vancouver Founder Fund), and supporting a new generation of startups." For us, that's more than enough reason enough to stay.